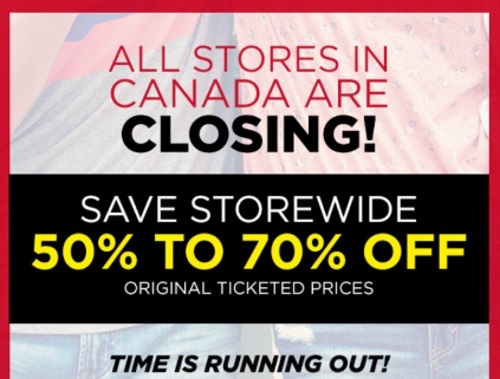 You've probably heard a while back Aeropostale announced that they are closing all their Canadian stores. They now have a clearance sale of 50%-70% off the original ticketed prices online! Everything mus be sold. Also take $25 off any $100 purchase with the promo code 25OFF. Offer is valid until June 8, 2016. Click here to browse Aeropostale.